Eat to Empower Dinner Series + Food Festival is Vetri Community Partnership’s signature two-part fundraising event featuring the best culinary talent from both Philadelphia and the nation. After its inaugural success in 2018, the event is back and better than ever on Saturday, April 27th, 2019 at Cherry Street Pier for the Food Festival and private homes for the Dinner Series. Eat to Empower 2019 is sponsored in part by The Emerson Group, FS Investments, and Philly Magazine. Whether it’s spices and herbs in cooking or monthly giving — a little bit goes a long way! By becoming a member, you will help us build the solid and dependable foundation needed to continue empowering area children and families to lead healthy lives through fresh food, hands-on experiences, and education. EAT360 (formerly Eatiquette) educates young eaters and supports healthy lifestyles for families in our school communities. Each school partner we work with is unique. Our goal is to support existing leaders and school culture through our work. We collaborate with faculty and administration to assess and address each school’s priorities through a variety of direct education and school wellness opportunities. As a local education partner with the USDA’s Supplemental Nutrition Assistance Program, we work to improve the likelihood that students and families eligible for SNAP will make healthy food choices within a limited budget. 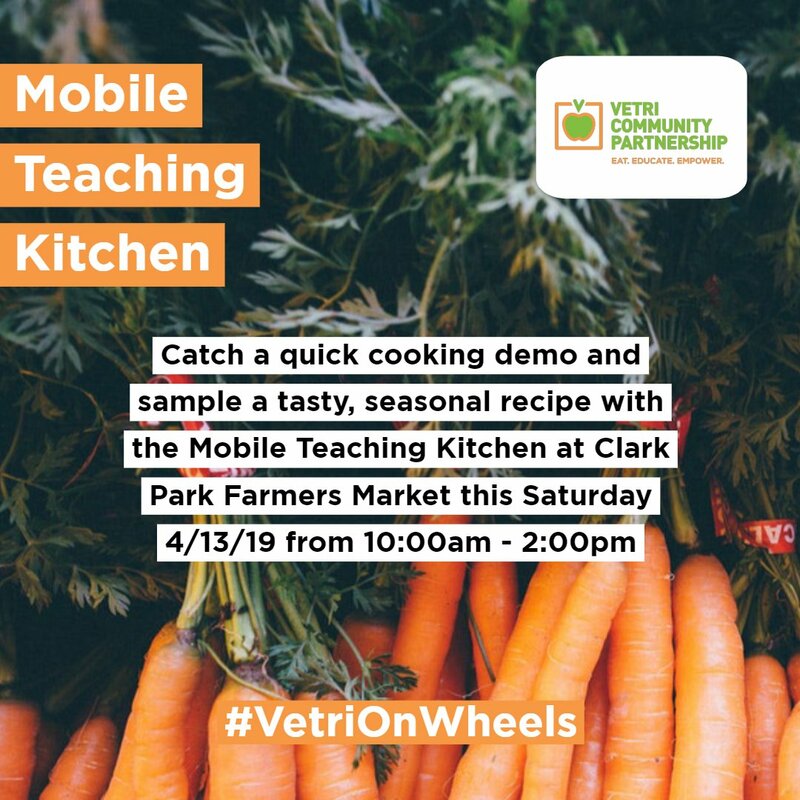 Vetri Cooking Lab is an out-of-school time program that combines cooking, nutrition education and STEAM (science, technology, engineering, arts and math) core concepts. We use hands-on preparation of recipes to teach nutrition lessons, like whole vs. processed foods, the importance of breakfast, reading nutrition labels, added sugar, food marketing and more. 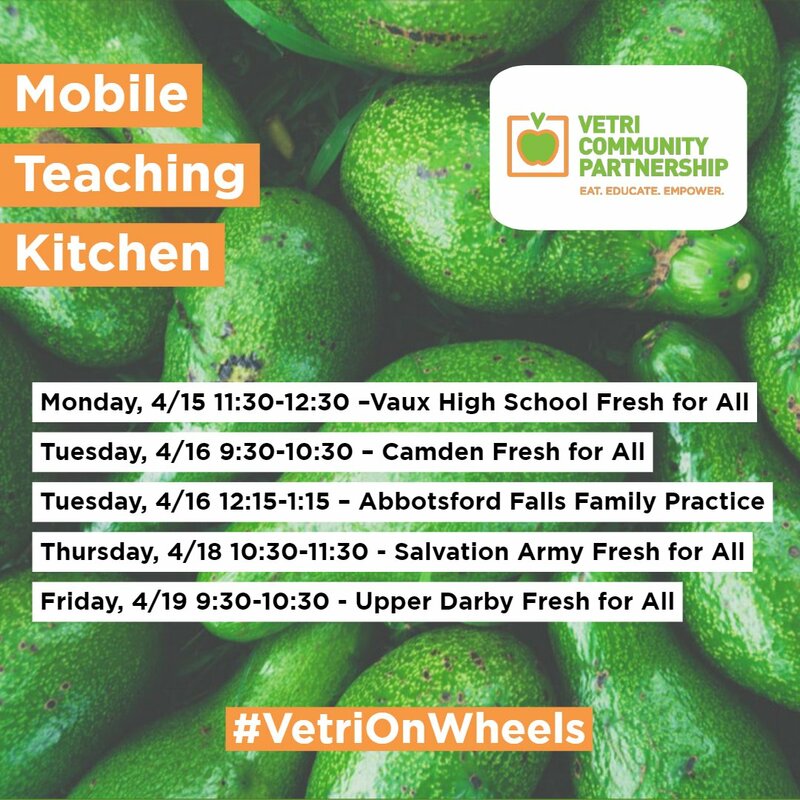 Vetri Community Partnership empowers children and families to lead healthy lives through fresh food, hands-on experiences and education. Getting kids involved in the kitchen is a great way to help them learn cooking skills and encourage them to try new things. Your support helps us bring our innovative culinary & nutrition education programs to more schools and communities. Donate today. Work with us and help make a difference in the lives of the children we serve. Meet Celia – Our New VCL Program Manager!